Luxury Bubbly that costs a fortune. That’s is what Champagne is to its true admirer. In fact, the enthusiasts are willing to shell out a fortune either to invest in or enjoy the heavenly bubbles of a good champagne. How are the bubbly made? Today, sparkling wine is made from grapes of Chardonnay, Pinot Noir, or Pinot Meunier all over the world. 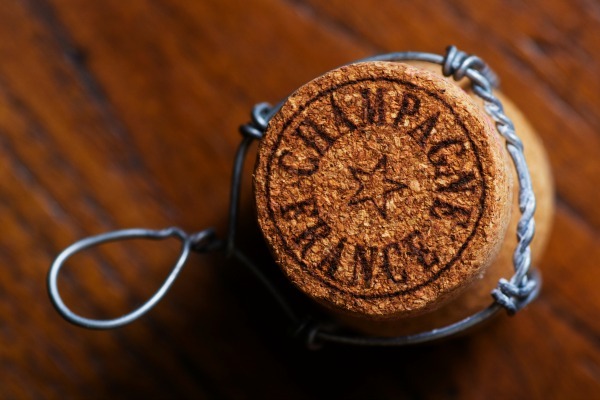 It is created exclusively in the Champagne region of France, which is just outside of Paris. But some bottles of bubbly are so exclusive they’re available only in high-end clubs or by special order. 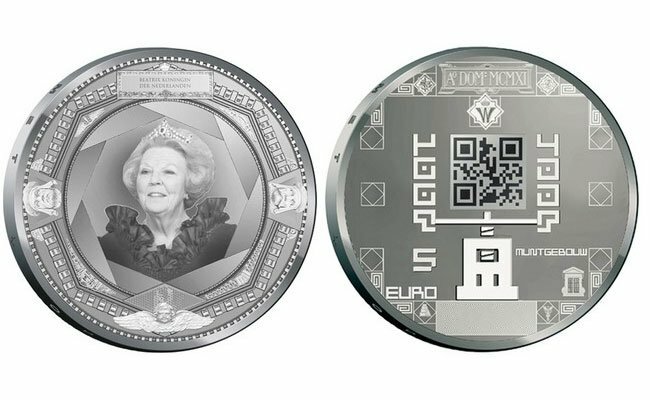 Many of them have retail values of up to tens of thousands of dollars. 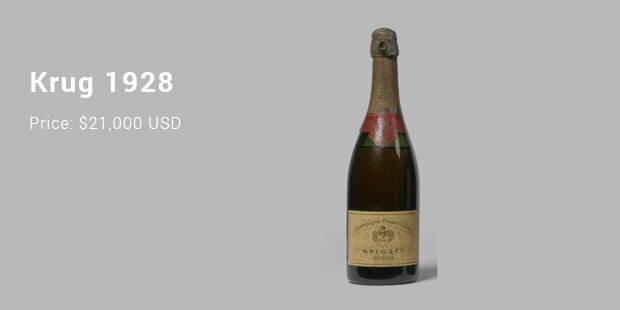 There will probably never be any other champagne of this variety found ever again, which is why a case of 11 bottles sold at auction for $156,000 in 2012. The beer is contaminated by seawater, but not the bubbly. 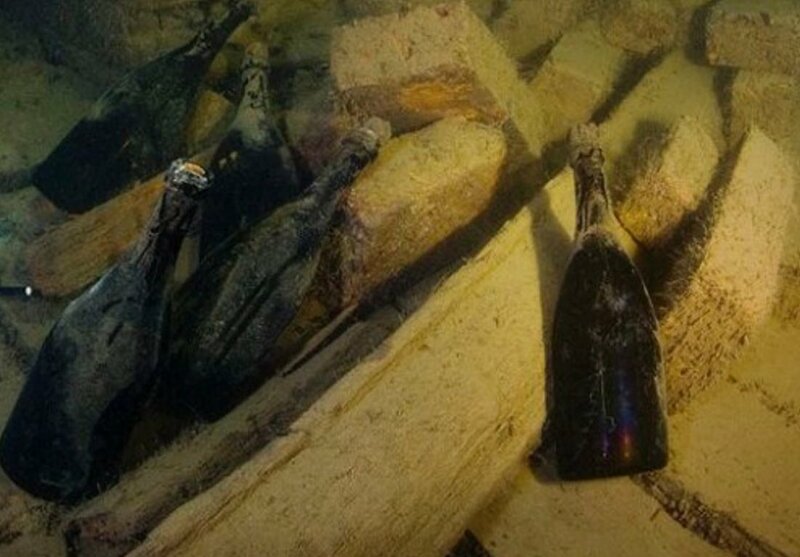 The champagne (manufactured by Heidsieck, Juglar, and Veuve Clicquot-Ponsardin) stayed impressively intact in the cold, dark waters of the Baltic Sea. This oldest champagne believed to be a treasure sent from Dionysus – the ancient Greek God of wine himself, a piece of history was sold at an auction fetching a whopping for a single bottle. Am sure the crew on board then wouldn’t even have the wildest idea that they had the precious bubbly which would fetch a huge price hundreds of years later. The shipwrecked Champagne earned its price because of its historical association and extreme rarity, but Cristal Brut 1990 Millennium Cuvee Methuselah scored it through sheer size. For those keeping score at home, a Methuselah is equal to eight normal bottles of wine. 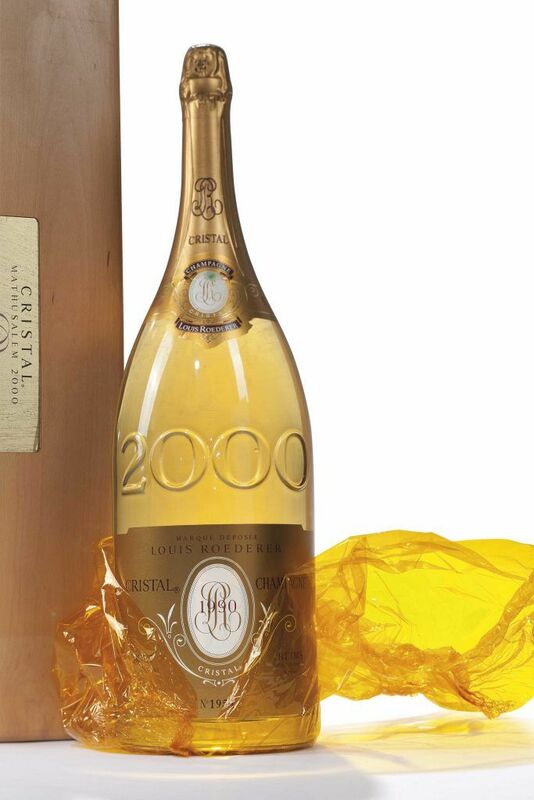 When it came to the unique blend of the special deluxe 2000 Millennium Cuveé, of the 1990 Cristal, things were done up with time and class. Only 2,000 units were made and released by the notable Champagne producer in 1999 to celebrate the turn of the millennium. 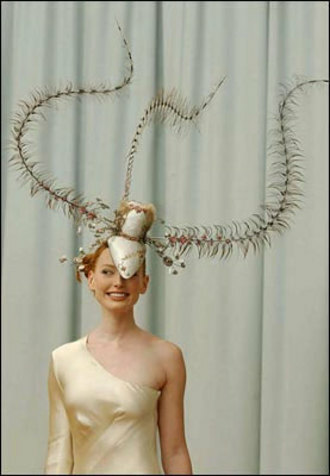 This, however, set an auction record back in 2005. This vintage was left on the lees for a decade, resulting in a Champagne with extra complexity and richness. An incredibly rare bottle of this cult prestige cuvee. A world record was broken when this bottle of 1928 Krug was auctioned off in 2009. For its age, the champagne was in excellent condition, although who would actually crack open and drink something so rare and expensive? The winning bidder is better off putting the bottle behind locked and temperature controlled doors and letting its value grow. According to Serena Sutcliffe MW, Champagne expert and the head of rival auction house Sotheby’s, the 1928 Krug is ‘one of the greatest Champagnes ever made’. This is another bottle of champagne that was found via a shipwreck, but this single bottle alone sold for $34,000. Veuve Clicquot is still a highly sought after brand today, but to find a well preserved bottle of it from 1841 is just about unheard of. The age of this champagne means it’s literally history in a bottle. 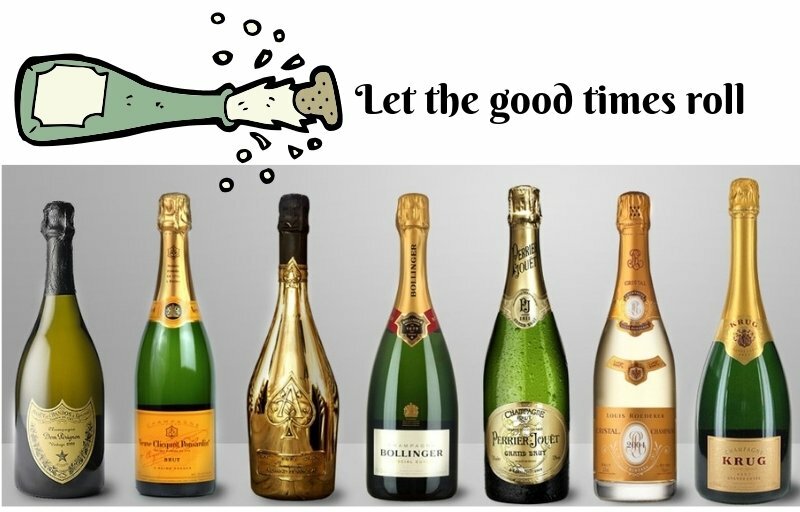 Because of the constant temperature maintained between four and six degrees, the dark surroundings, the pressure inside the bottles and the pressure at the bottom of the sea, the champagne was in extremely good condition. Each bottle was uncorked, tasted and classified by international expert Richard Juhlin. Sommelier Ella Grüssner Cromwell-Morgan from Åland sampled the first bottle that was brought up from the wreck. “The aroma of the wine is of mature fruit, with yellow raisin tones and a considerable hint of tobacco. Though it was so incredibly old, there was a freshness about the wine. It wasn’t at all stiff, but rather had a clear acidity backing up its sweetness. Finally, an extremely clear flavour of oak cask storage.” Sommelier Ella Grüssner Cromwell-Morgan said. Out of the bottles that were salvaged, 95 were from the Juglar champagne house, which closed down in 1829. The same owners produce Jacquesson today. Veuve Clicquot was represented by 46 bottles and Heidsieck & Co by four. The Veuve Clicquot bottles were dated 1841–1850. Just about every bottle of Dom Perignon is expensive, but the age of this champagne takes its price tag over $42,000 per bottle because it’s now very rare. 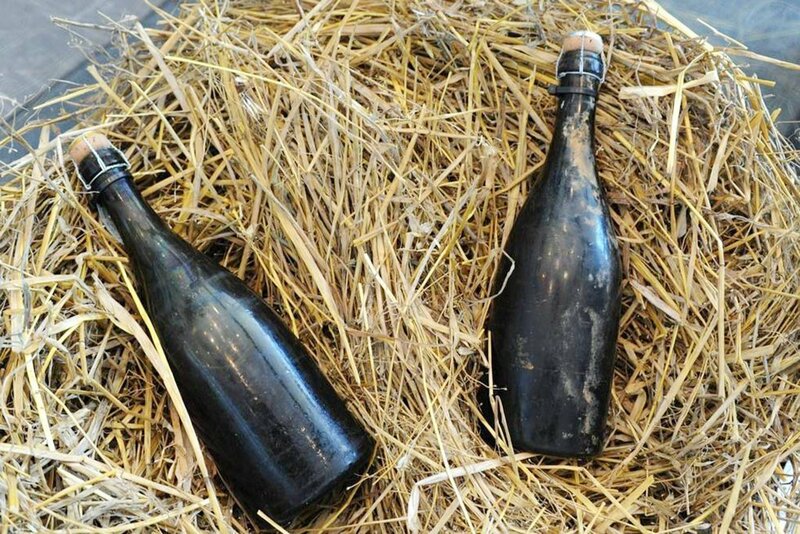 Two exquisite and well preserved bottles of bubbly were auctioned. 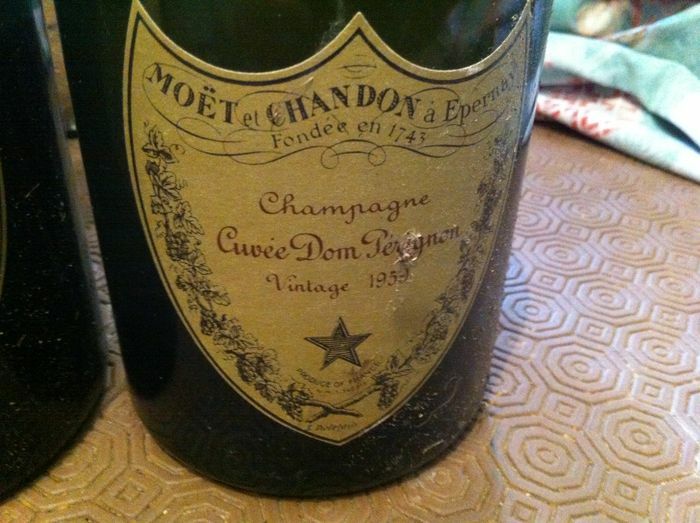 In 1971, the Shah of Iran ordered several bottles of the first vintage of Dom Pérignon Rosé chilly. This was to celebrate the 2500th anniversary of the founding of the Persian Empire by Cyrus the Great. 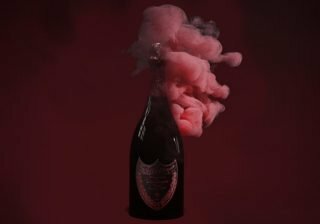 In 2008 two of that legendary Dom Pérignon Rosé Vintage 1959 landed at an auction. The major composition of this bubbly are two grapes; Pinot Noir and Chardonnay. Dom Pérignon is known to keep a significant fraction of its Champagne aging on lees for an extended period. Eventually, 15 to 16 years after the vintage, a part of these bottles are released. A few other Champagne houses do something similar. House of Juglar stopped making wine in the 1840s. But someone found the bubble from shipwreck, making it one of the most expensive bottles of champagnes ever. 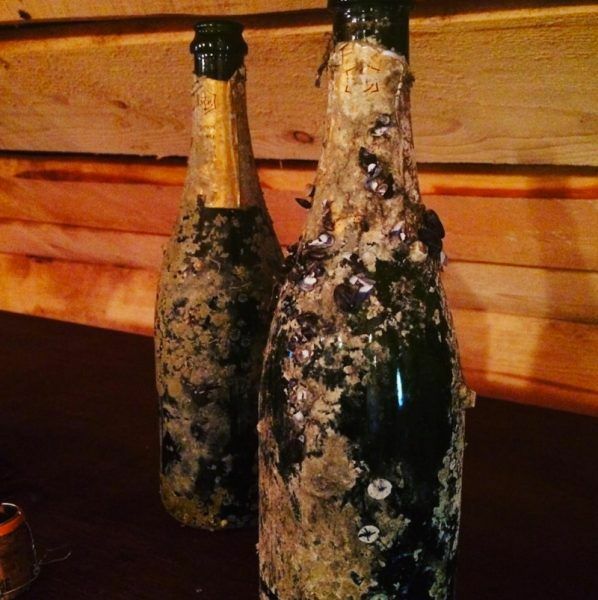 In July 2010 in the Baltic Sea at a depth of 55 meters, a group of Swedish divers discovered a collection of 168 bottles of champagne on a shipwreck. The exact age of the champagne could not be determined due to extensive label damage. 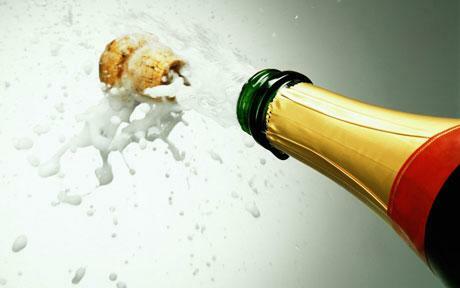 But many experts agreed that the champagne originated from the early part of the 19th Century. 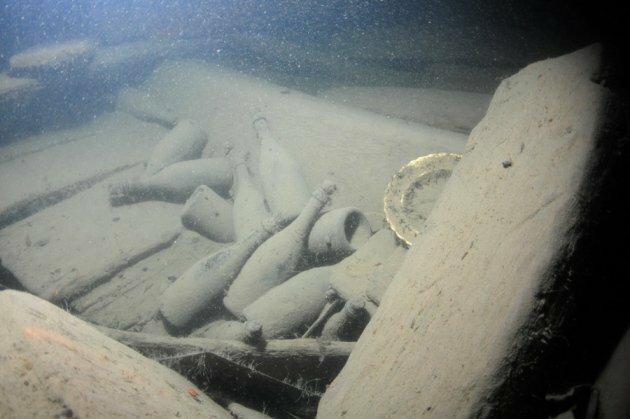 Very cold and dark conditions of the seabed helped preserve the bottles in perfect condition for over 150 years. Quite surprisingly, when initial tastings were conducted, it was discovered the sparkling wine was still drinkable. Brand marks on the corks helped the researchers identify the winemakers. In the November of 2010, it was discovered that out of 168 bottles, only three originated from the world famous Veuve Clicquot Grand Marque. The other bottles were produced by the now defunct champagne house Juglar. Local authorities decided to auction off all of the bottles for a high price. This bubbly was named after Pierre Perignon. 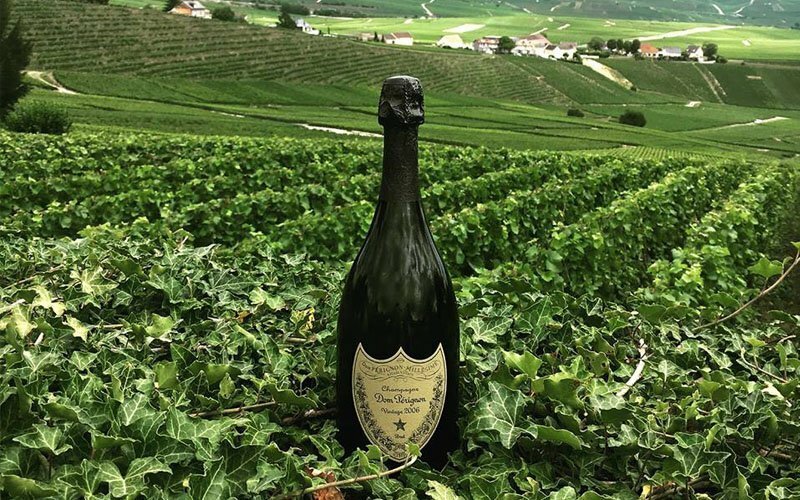 He was a Benedictine monk and ‘father’ of Champagne, who aimed to create ‘the best wine in the world.’ Dom Perignon strives to fulfil his ambition. A world renowned label that immediately conjures images of luxury and excellence, as a champagne of true quality and prestige. This Methuselah of Dom Perignon rose champagne isn’t terribly old, but it is huge and the bottle is plated with actual gold. It’s one of just 35 bottles produced, so you can’t simply walk into a store and grab some. This particular vintage limited bubbly is said to have a smoky aroma and sharp notes. 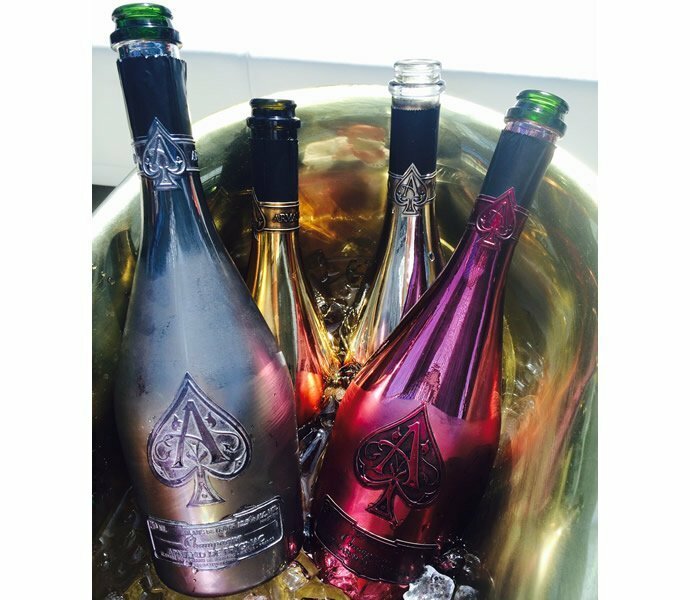 Many know Armand de Brignac, or Ace of Spades, because of its association with pop culture — rap legend and business mogul Jay Z owns the brand. 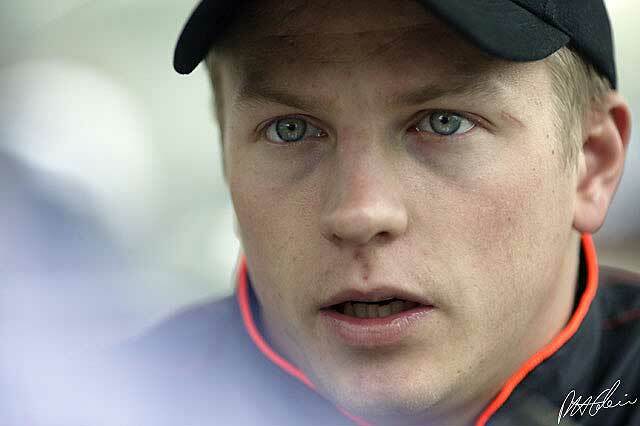 But, it’s not this champagne’s backing that justifies its high price. The bigger the bottle of alcohol the more money you can expect to spend, and this bottle contains a whopping 15 liters of champagne. 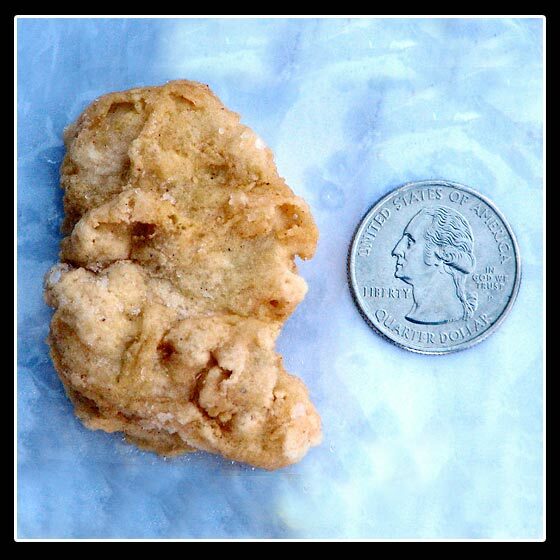 You cannot finish it on your own in one sitting. So this is the bubbly to buy if you’re having a huge, ultra-posh party with several hundred of your closest friends. 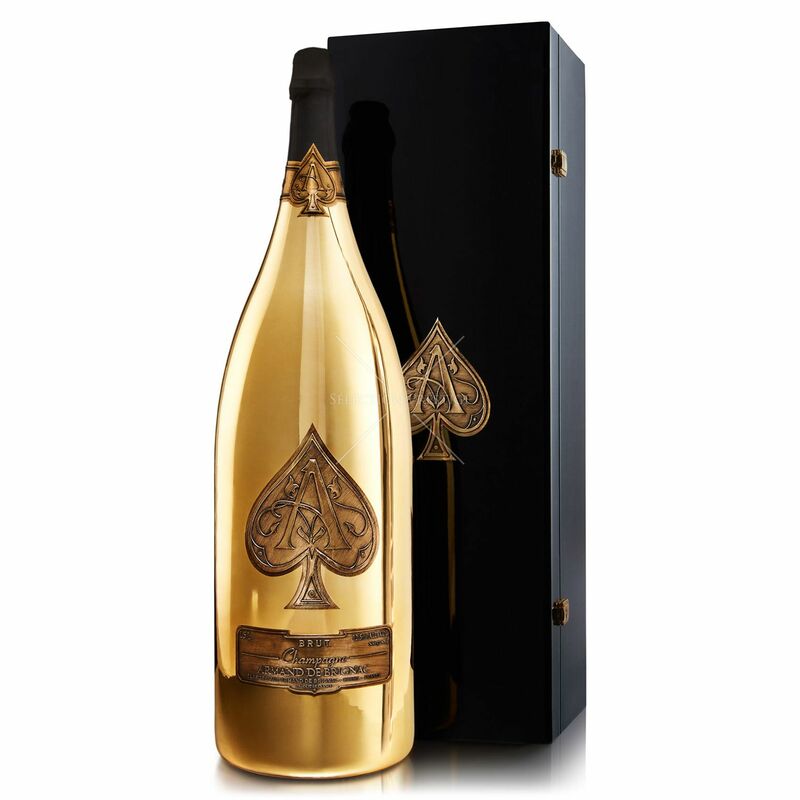 The bubbly acquired the name “Ace of Spades” due to the recognizable design on the bottle. There are five cuvées in the Armand de Brignac range produced in a multi-vintage style. The real name for Ace of Spades is actually Armand de Brignac. The Champagne is produced by Champagne Cattier. It has acquired its colloquial nickname due to the recognizable design on the bottle. 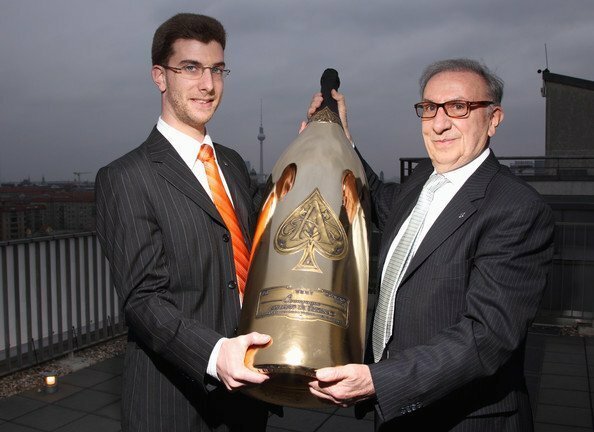 Jean-Jacques Cattier and his son Alexandre Cattier pose with the world largest bottle of Champagne ‘The Midas’ by Armand de Brignac on April 6, 2011 in Berlin, Germany. Over the years Armand de Brignac has developed a habit of debuting increasingly large bottles of champagne, and this is one of the largest. The Armand de Brignac 30 litre Midas weighs over 100 pounds and is equivalent to 40 standard sized bottles of alcohol. That’s a heavy load to pick up on your own, but those who can afford this pricey champagne could just hire someone to do the lifting. A team of just eight people craft each bottle of Armand de Brignac by hand at the family house in Chigny-les-Roses. 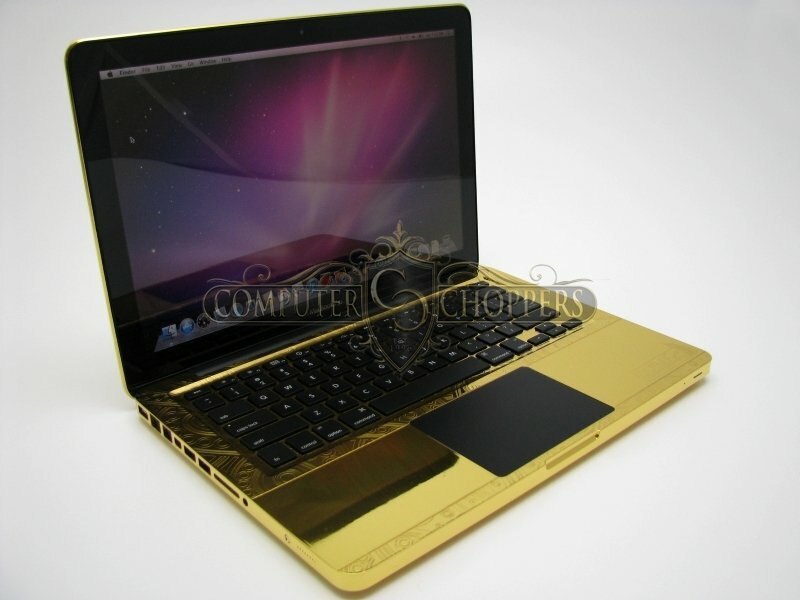 Because of the labour-intensive production methods, only an extremely limited number are available. A Midas bottle of the brand’s Brut Gold existed before and been at the centre of many of the world’s most expensive bar bills already. 2013 Taste of Diamonds also known as Goût de Diamants is the most expensive champagnes and makes it to the top of the list. 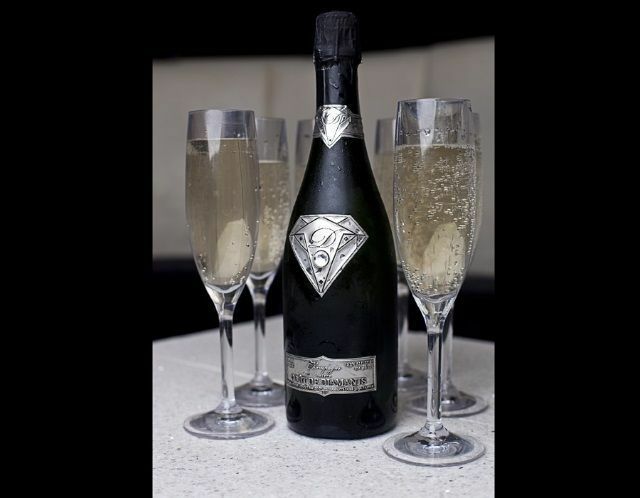 Alexander Amosu, the Nigerian luxury designer in collaboration with Goût de Diamants , luxury champagne created the world’s most expensive champagne called “Taste of Diamonds”. The Goût de Diamants team in collaboration with Alexander Amosu, created something unique and special. The design inspired by Superman style signature handcrafted from 18-carat solid gold. The 19-carat diamond in the centre replaces the Swarovski crystal that’s on standard bottles. The uniqueness and exclusivity of the container are alluring. The value of the bottle will hold steady over the years, possibly even increasing in value. Consistently voted the best champagne in France, the quality of Taste of Diamonds is unmatchable. Taste of Diamonds is a blend of Grand Cru Chardonnay, Pinot Noir and Pinot Meunier that offers a floral, refreshing and creamy texture and ends with a light and elegant finish, says the champagne maker. With the touches of floral and somewhat creamy texture, the opulent bottle of the Taste of Diamonds is now recognized as the most expensive single bottle of champagne in the world. He is a wise man who seeks by every legitimate means to make all the money he can honestly, for money can do so many worthwhile things in this world, not merely for one’s self but for others. But he is an unmitigated fool who imagines for a moment that it is more important to make the money to make it honestly. One of the advantages of possessing money is that it facilitates one’s independence and mental attitude. The man head over heels in debt is more slave than independent.